Skeptics ask hard questions. Why does God allow suffering? How can there be one true religion? How could a loving God send people to hell? 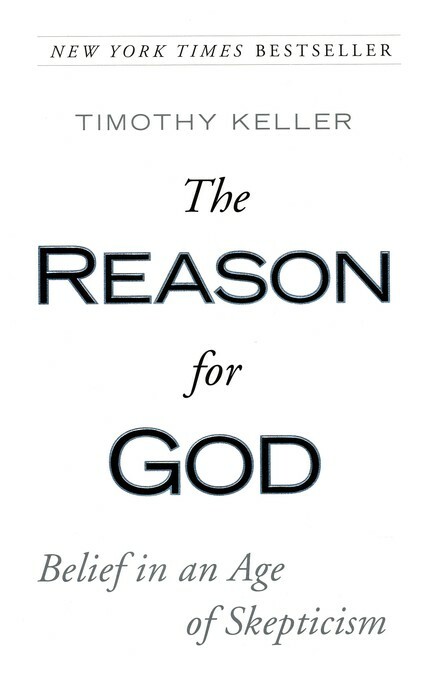 Timothy Keller—Presbyterian minister, Manhattan church-planter, and prolific author—answers winsomely in his book The Reason for God. His audience: spiritual seekers, skeptics, and even some Christians. His method: use little Scripture and lots of philosophy, literature, reasoning, and real-life conversations. In Part 1 “The Leap of Doubt”, Keller “examines the beliefs beneath the seven biggest objections or doubts people in our culture have about the Christian faith” (119). He asserts that, contrary to atheistic opinion, it is impossible to leave one’s worldview behind in the public sphere. Evil and suffering is actually evidence for God (chap. 2) and denying God’s judgment actually encourages violence (chap. 5). Part 2 “The Leap of Faith” moves from attacking reasons for disbelief to offering sufficient reasons for belief. He addresses the problem of sin, the knowledge of God, the cross, the resurrection (“the issue on which everything hangs”), and the Dance of God (the Trinity). A classic example of Keller’s pursuit of relevancy is chapter 12: “The (True) Story of the Cross.” Keller beautifully examines the tie between forgiveness, the cross and why God can’t just forgive us. He does this with anecdotes, personal stories and quotes from Gandhi, Stott, O’Conner, Bonhoeffer, and N.T. Wright—and not a single Bible verse. He is not unbiblical, only in search of a particular audience: seekers and skeptics. Chapter Three (“Christianity in a Straitjacket”) was the best in the book, which gives a glimpse into Keller’s method of ministering to New Yorkers. He forced me to ponder if our church plant here is as African as orthodoxy will allow. Keller pulled ideas from everywhere. From Wilberforce and Lewis to Bono and Darth Vader, there was no genre off-limits. I determined to glean better from every source of knowledge. The basis and argumentation for what I believe became more tight and accessible. Its been a while since I’ve read a well-reasoned, theological book that I would call “fun”. But what made Reason for God such an enjoyable ride was the route he took. He passed the exit on “Scripture” (though it still supports his points clandestinely) and got off on “Reason” where the skeptics live. He uses argumentation they can understand. His knock on Creation Science (called “Conflict model”) and support for natural selection (he takes Francis Collins’ view) was bad exegesis and a weak attempt at winning the scientific crowd—but don’t let that turn you off. A fundamentalist could never have written this book. It’s too relevant, too winsome, and too rich. Buy this for your library and a seeking friend.